Better impressions: Anyone who has had braces, crowns, and bridges can recall the wet, gummy, messy discomfort of holding plaster in their mouths for several minutes to make impressions. Now intraoral or optical impression scanners can capture digital images of a patient’s teeth using light projected from hand-held wands. “The device takes a lot of pictures, which are combined to make a virtual 3-D model,” explains Shirin Khoynezhad, D.D.S., D.M.Sc., assistant professor of prosthodontics. Dental professionals can manipulate the virtual model to visualize the teeth and develop plans for restoring them. Then they send the electronic impression to a laboratory that fabricates items such as crowns, bridges, inlays, or mouth guards. The technology solves another problem with conventional impressions. Because plaster can change in size as it sets, dentists often have had to adjust finished crowns and bridges to make them fit properly, Khoynezhad says. Speedy solutions: Patients once waited weeks to have crowns and other prosthetics made or repaired. Now computer-assisted design (CAD) and computer-assisted manufacturing (CAM) make it possible for patients to receive their customized prosthetics in days—sometimes hours. Dentists take digital scans of a patient’s teeth and upload them to a laboratory, where a CAD machine engineers the one-of-a-kind dental appliance. Then, using a CAM milling machine, a technician creates the final prosthetic out of materials like ceramics and resin composites. 3-D scans (at top) guided jaw reconstruction for Valerie Accetta, helping her teach and sing again. Surgery prep: Kau and Patrick Louis, D.D.S., M.D., professor of oral and maxillofacial surgery, collaborated on Accetta’s case using virtual surgical planning software. 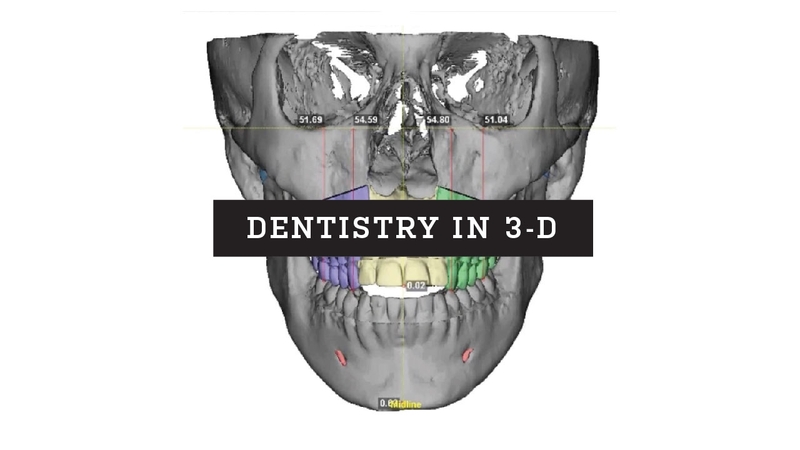 The technology enabled them to confer and examine 3-D images of Accetta’s jaw together, and to strategize, simulate jaw positioning, and develop the best plan before the operation—all online. Today Accetta is singing and teaching again. • Make an appointment with a UAB dentist. • Discover the opportunities for learning, research, clinical care, and community outreach in the School of Dentistry. • Shape the future of oral health care with a gift to the School of Dentistry.